36 and counting. At least that's my tally on the number of dens in Cronulla that a person can acquire their caffeine hit of choice. This explosion reflects the coffee sub-culture that has taken a firm grip on our fair shores. Back in Cronulla, which of these establishments' baristas brews up their beans for that just so right pick-me-up? How would I know? I've never had a coffee in my life. But I'm intrigued by this contemporary movement. 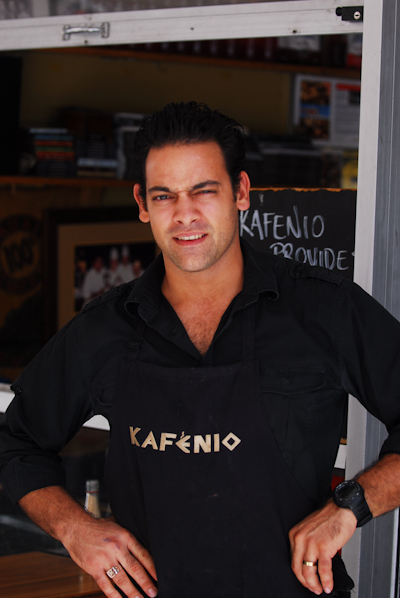 Kafenio is a long-standing diehard in Cronulla Mall whose tables are never empty. Sticking with some strict Italian traditions – no skim and no decaf, Kafenio's lively and amicable staff service a solid legion of faithfuls. 1 Cronulla Street in the heart of the Mall. HAM. When brothers Harry and Mario (get the acronym?) first opened their doors a couple of short years back, they kicked an immediate goal. The chic look of this tiny corner cafe reflecting the Mediterranean roots of the proprietors was probably the hook but that will only get you so far if the product doesn't cut the mustard. The numbers keep coming and it can be sometimes tough to nail a seat so they must be doing something right, including the brew. 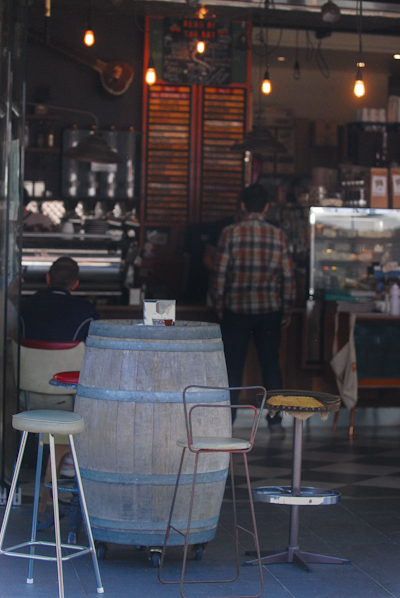 With near enough to a 10 year barista pedigree between them, HAM is coffee central in Cronulla. On the corner of Ocean Grove and Gerrale Street. Grind. OK, so occasionally the owner doesn't always endear himself to the clientèle but Grind has a cult following. 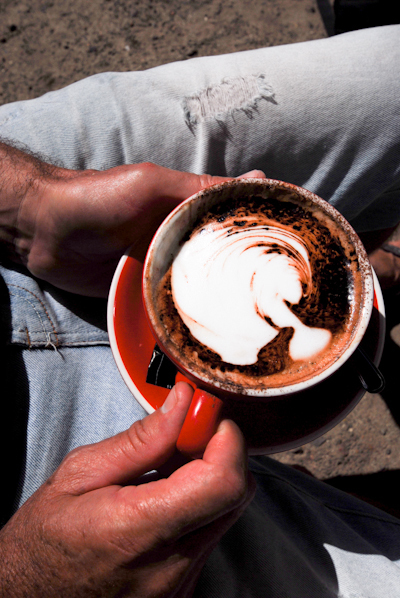 Grind was a trailblazer in Cronulla's coffee culture some 10 years ago. 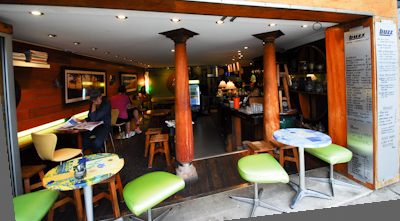 From a claustrophobic box under Rydges Hotel and a few milk crates doubling as chairs, Grind has since undergone two incarnations, firstly in Surf Road and now just around the corner in Surf Lane. As the clientèle grew, so too did the floor space. The fan base keeps on keeping on and the queue out the door each morning tells you the recipe is still on the mark. Following on from the "the customer is not always right" ethos, Buzz sits across from South Cronulla Beach at 45 Gerrale Street. This is my wife's personal top dog coffee. Combine this with an endearing fit out that is all cosy rural meets Middle East groove and one question begs answering; why is Buzz always so vacant? Owner and espresso pilot Alan has a potentially great business if only he didn't continually voice how the patrons annoy him. You wonder if Seinfeld secretly based his Soup Nazi character on Alan. "You want coffee and come here with sand on your feet? NO COFFEE FOR YOU!" Pilgrims Hole in the Wall is just as the name suggests, nothing but a hole in the wall doing takeaways. But aren't the pundits raving? 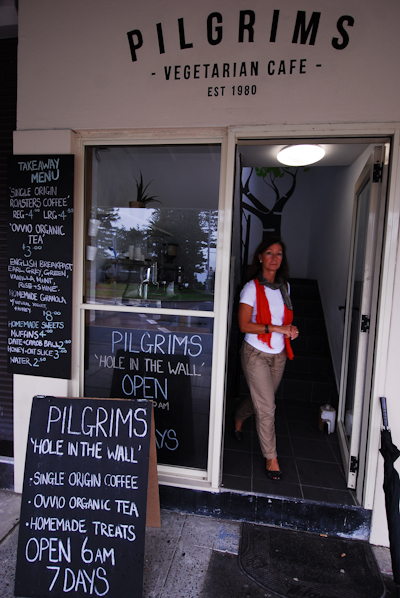 Just opened and clinging to the shirt tails of its upstairs Pilgrims Vegetarian Cafe, Hole in the Wall has already grabbed a foothold of caffeine hunters on the run. Personally this one man jury is still out on the operation upstairs but everyone else is doing handstands over it so I will have to give that another shot. 97 Gerrale Street on the corner of Laycock Avenue. Twofigs Cafe, aka The Top Shop. Groove, edge and million dollar fixtures? Go elsewhere. The Top Shop is the big white house on the hill overlooking Wanda Surf Club and is unpretentious defined. You will be seated on plastic chairs either on the dirt sidewalk or up on the cement balcony. Not the sort of place you would expect to find a subtle coffee but the loyalists swear by it. 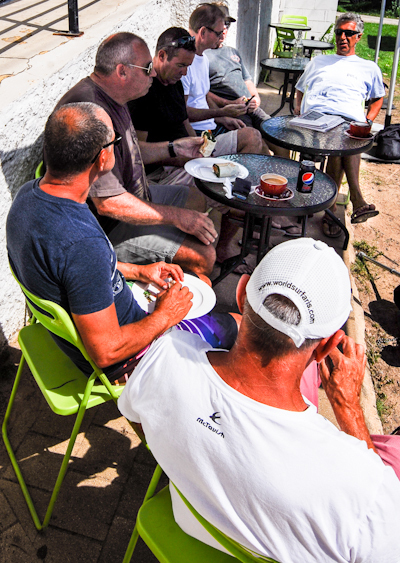 Come mid-morning to midday on any week day and join in the post surf conversation with the Greenhills Angels, a posse of retired or about to be retired surfing gentry who use Twofigs as a pseudo club house while they sip a brew and solve the world's problems. How's that for a brew revue from someone who has never let the lure of black gold pass their lips? I love the coffee at cronulla park ice creamery! Go Di Lorenzo!